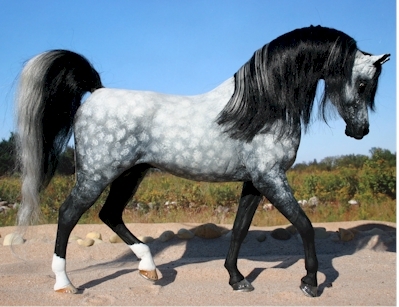 Black chestnut Arabian stallion. Kings Ransom AR resin repainted and haired by Tardis Stables. Owned by Rhoda Schneider and photo shown by Tardis Stables.